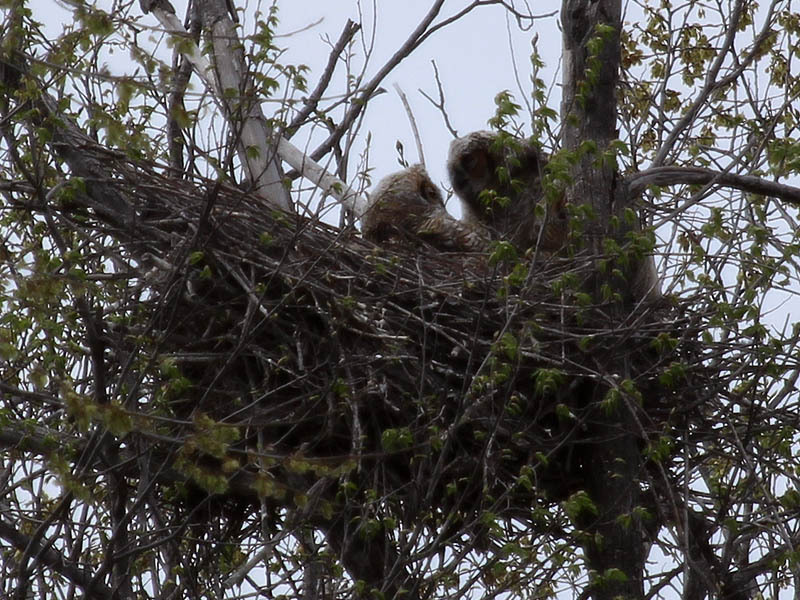 The Great Horn Owlets in both the north nest and the south nest were unattended by adults when we arrived today. 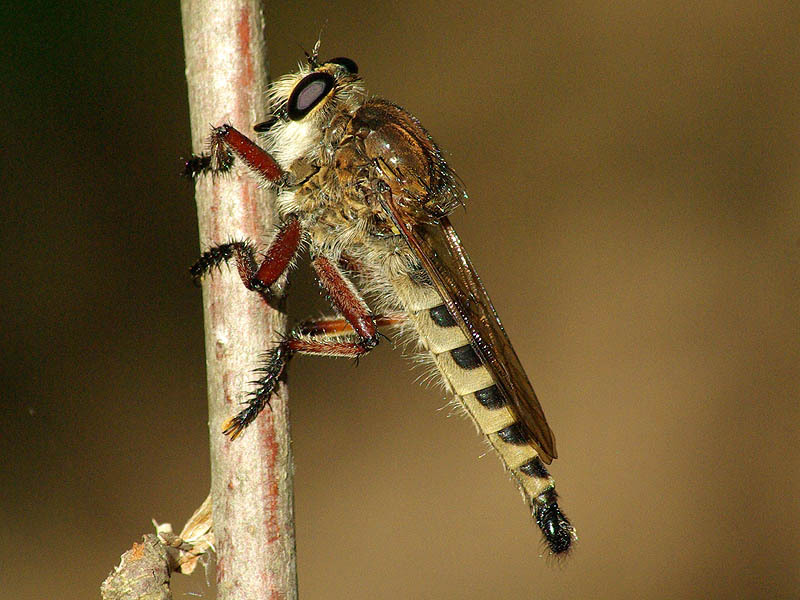 One parent or the other could be heard at both location whooing softly from the nearby woods. At the south nest, one of the juveniles was seen calling back to its mother. 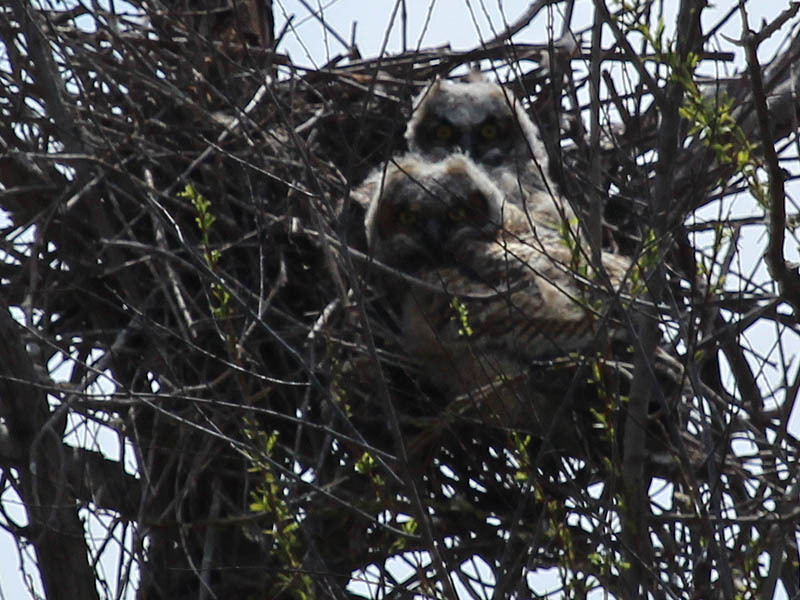 The Owlets at both locations continue to grow at an impressive rate! 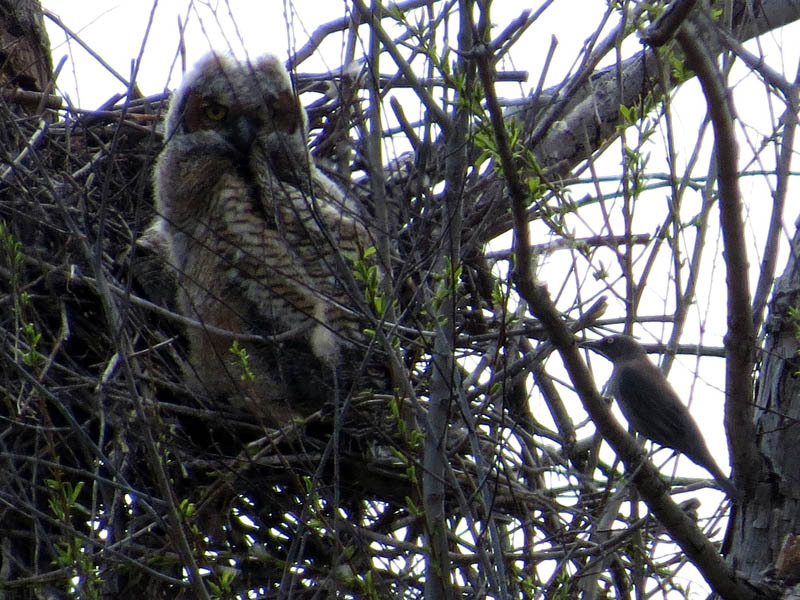 North Nest – The owlets are joined by what appears to be a female Great-tailed Grackle. 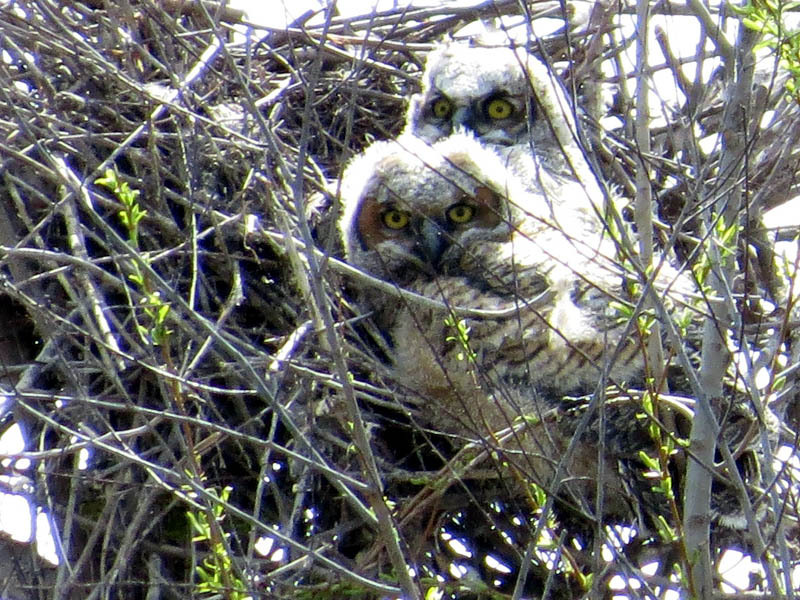 North Nest – The second owlet become visible in just behind the first. The grackle considers an exit. 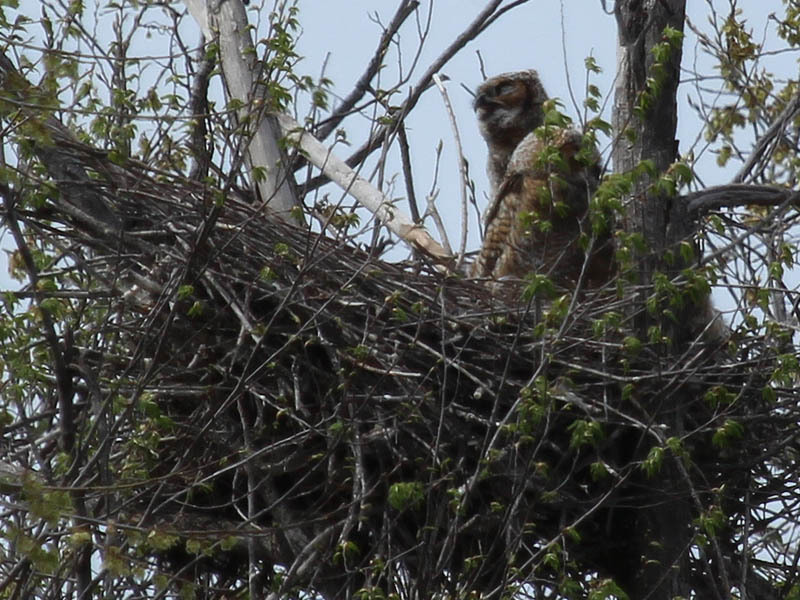 North Nest – The Great Horned Owl siblings. 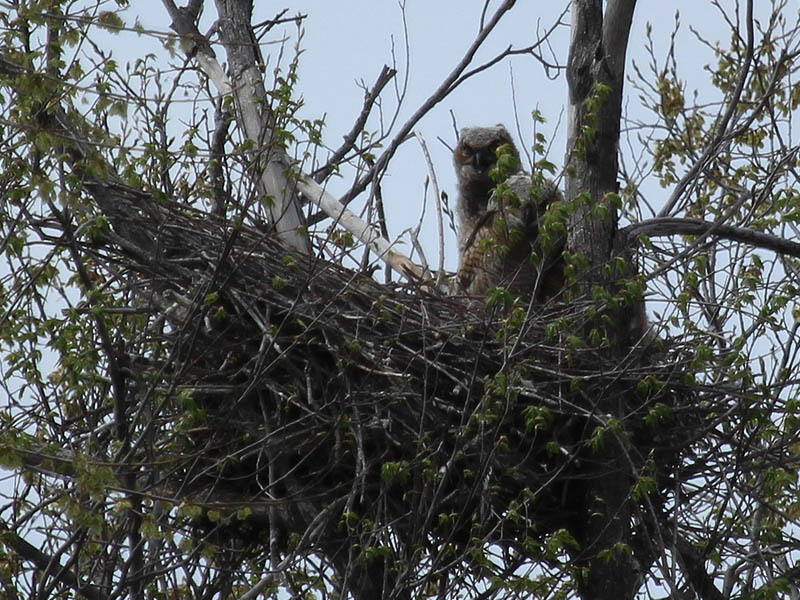 North Nest – Yellow eyes! 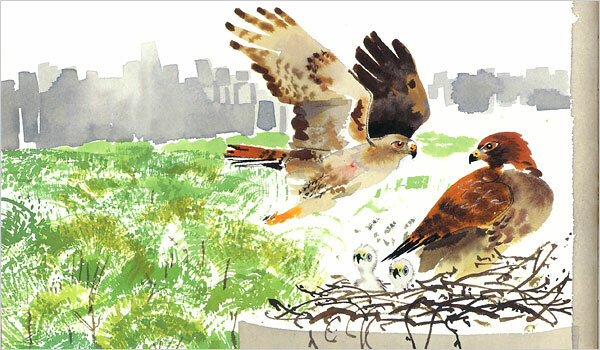 South Nest – At the south nest, one of the juveniles answers his mother’s call. 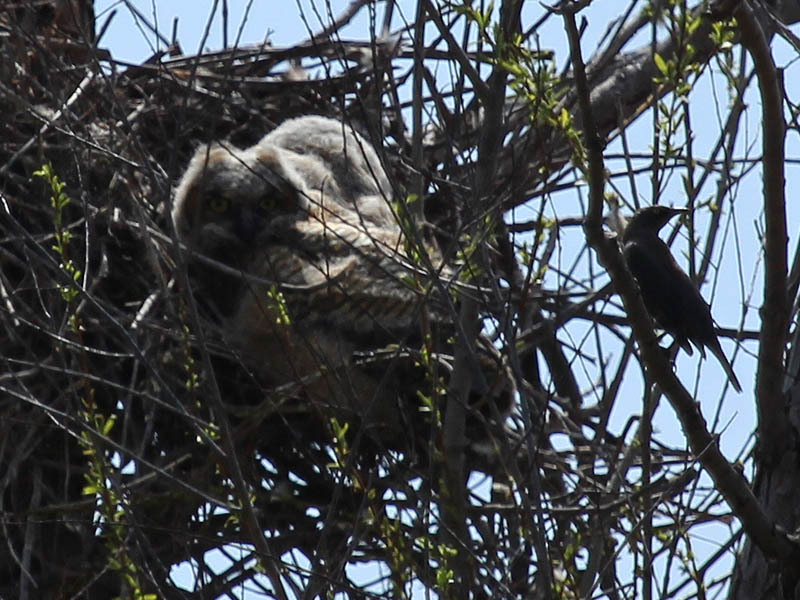 South Nest – The Great Horned Owlets are growing rapidly. 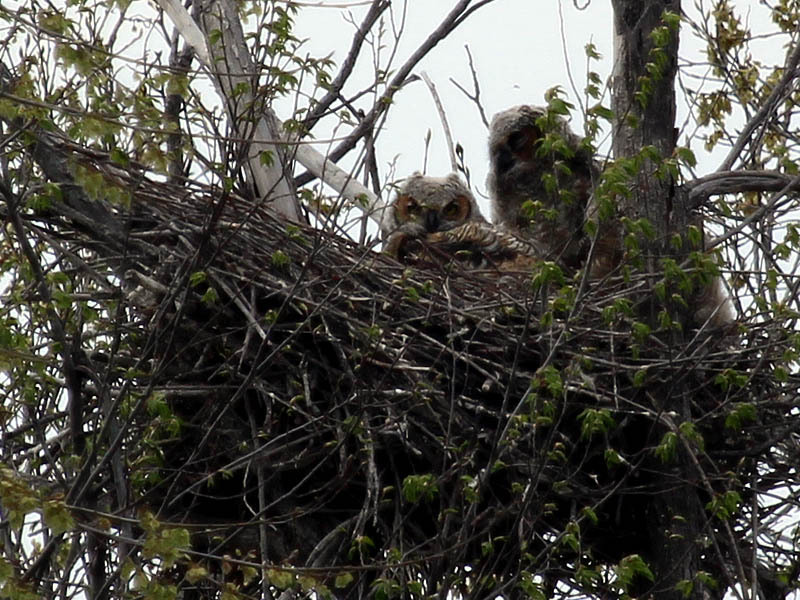 South Nest – The Great Horned Owlets face to face..
South Nest – A last look.